OxfordCaps is a Singapore-based housing company that just took over and transformed an ancestral property near Roshnara Garden to turn it into housing for North Campus boys. They promise clean, AC rooms, meals and even a shuttle to and from university colleges. It’s that time of the year again, when the hunt for a curfew-free house and stories of unforgiving hostel wardens make up most of the conversations for DU kids. The options also rest between dodgy PGs with landlords who’ll refuse to fix the water problem, or hostels that are full or slightly too basic for most. Enter OxfordCaps with its AC rooms, 24*7 cafe, a gym and even a pick- up and drop facility to college at specific hours in the morning and evening. 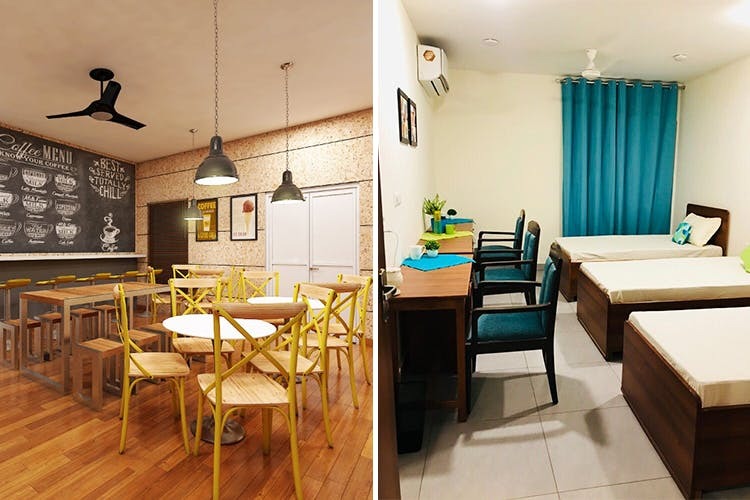 The monthly charge (not inclusive of electricity charge) including meals, transport and facilities starts at INR 15k for a triple-sharing room.